"Sampath Speaking" - the thoughts of an Insurer from Thiruvallikkeni: New Zealand referendum rejects change of their old flag !! New Zealand referendum rejects change of their old flag !! A flag is not merely a piece of fabric - it is not a mere decoration either. It is the potent patriotic symbol with varied wide-ranging interpretations, often including strong military associations due to their original and ongoing military uses. 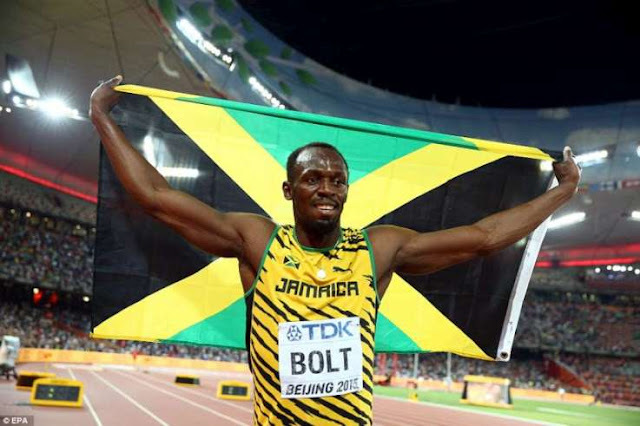 We often see National flags waved in games and winners choosing to display their National flags. The Great Indian National Flag, is a horizontal rectangular tricolour of deep saffron, white and India green; with the Ashoka Chakra, a 24-spoke wheel, in navy blue at its centre. It was adopted in its present form during a meeting of the Constituent Assembly held on 22 July 1947, when it became the official flag of the Dominion of India. The term "tricolour" (Tiraṅgā) always refers to the Indian national flag. The flag, by law, is to be made of khadi, a special type of hand-spun cloth, or silk made popular by Mahatma Gandhi. The right to manufacture the flag is held by the Khadi Development and Village Industries Commission, who allocate it to the regional groups. Elsewhere, the national flag is defined in legislation as "the symbol of the Realm, Government, and people of ……. " and like most other laws, can be changed by a simple majority in Parliament. March 24, to Cricket fans (no match in ICC T20 WC today) would recall that composed stroke - Dale Steyn gave Grant Elliott width outside off stump with the short-of-a-length penultimate delivery. Elliott, like a baseball batter, was poised to strike with five runs required off two balls. NZ created history beating South Africa in the Semis and moved to Finals. At New Zealand, the judges weighed 10,292 options — including a flightless kiwi bird firing lasers from its eyes — and the country spent two years thinking about it; but in the end, New Zealanders chose decisively to keep their century-old flag, a blue ensign with Britain’s Union Jack in the upper left corner and the four stars of the Southern Cross in red on the right. Preliminary results of a nationwide postal vote, which pitted the incumbent against the final challenger — a flag known as the Silver Fern (Black, White and Blue) — showed on Thursday that 56.6 percent had voted to keep the existing flag flying, despite the assertion by Prime Minister John Key that it symbolized a colonial era whose time had passed. “Naturally, I’m a little bit disappointed,” Mr. Key said at a news conference after the result was announced. 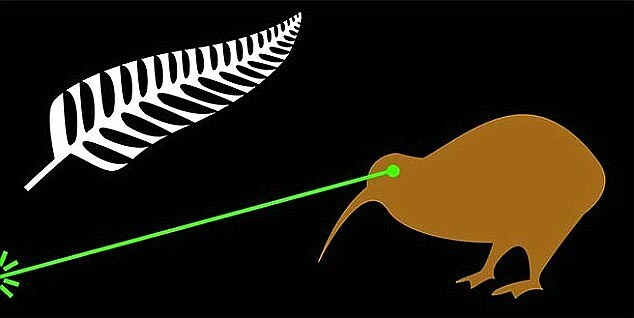 Thousands of submitted designs — including the laser-equipped kiwi bird and a woolly sheep with stars for eyes, among less unconventional entries — were reduced to five finalists last year by a panel of 12 judges. Four of the five featured variations on a fern, a plant of symbolic importance in the native Maori culture (and the logo of the national rugby team). In December, Silver Fern (Black, White and Blue) won the first nationwide postal referendum and the support of Mr. Key, who had floated the idea of a new flag in an election campaign speech in March 2014. At the time, Mr. Key said that if his National Party won the elections in September (as it did), he would hold a referendum on the flag. Those opposed to changing the flag argued that soldiers had died fighting for it and that it represented history and tradition. 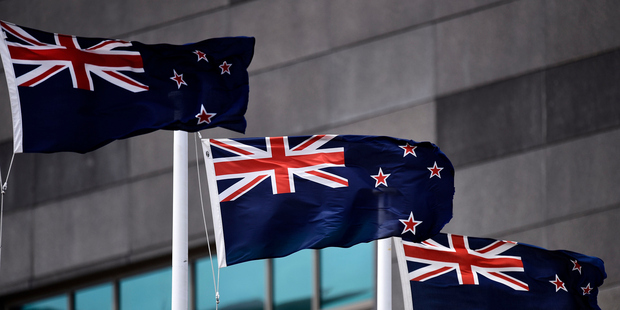 Winston Peters, a lawmaker who leads the New Zealand First Party, noted that recent polling had found the strongest support for the existing flag among people under 29. So, the New Zealand's flag will not change, referendum has decided. The existing national flag won 56.6 per cent of the vote, compared to 43.2 per cent for the silver fern flag. The total number of votes received was 2,124,507 - a turnout of 67.3 per cent. The flag of New Zealand is a defaced Blue Ensign with the Union Flag in the canton, and four red stars with white borders to the right. New Zealand's first flag, the flag of the United Tribes of New Zealand, was adopted in 1834, six years before New Zealand became a British colony following the signing of the Treaty of Waitangi in 1840. The current flag was designed and adopted for use on Colonial ships in 1869 following an Imperial statute and became New Zealand's national flag in 1902. For several decades there has been debate about changing the flag. A two-stage binding referendum on a flag change closed on 24 March 2016 and the results have emerged strongly in favour of the old one ! !